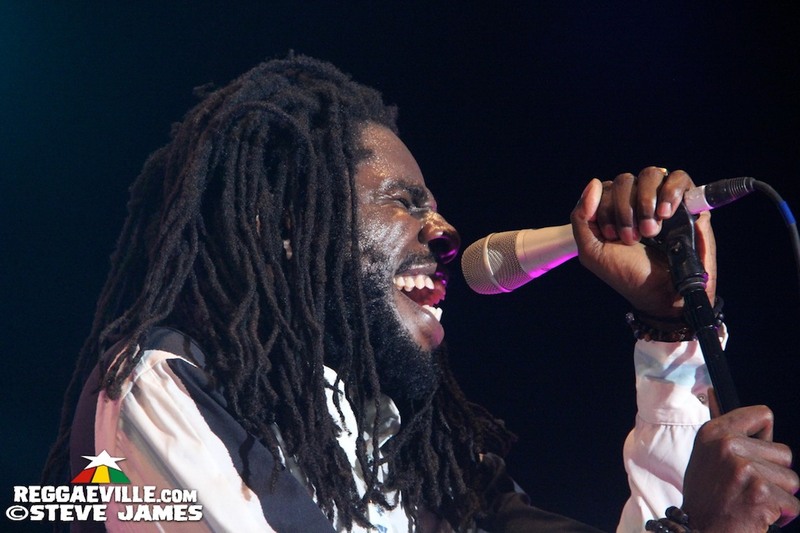 Chronixx Live in Jamaica - Best Reggae Show Since Buju Banton! Chronixx’ Chronology Tour 2017, across the world with more than 80 shows in the USA, UK, and Europe hit the Caribbean last week. He performed in Trinidad & Tobago (Nov 24), in Grenada (Nov 25) and most recently in Kingston, JA (Dec 1) and Montego Bay, JA (Dec 2). The sold out shows in Jamaica pulled massive crowds to Mas Camp and Pier One and left them mesmerized. After opener Sevana and Protoje (with guest Mortimer) started the evening, Chronixx performed in Kingston for two-and-a-half hours and welcomed special guests Protoje, Jah9, his father Chronicle and the Ravers Clavers dancers on stage.